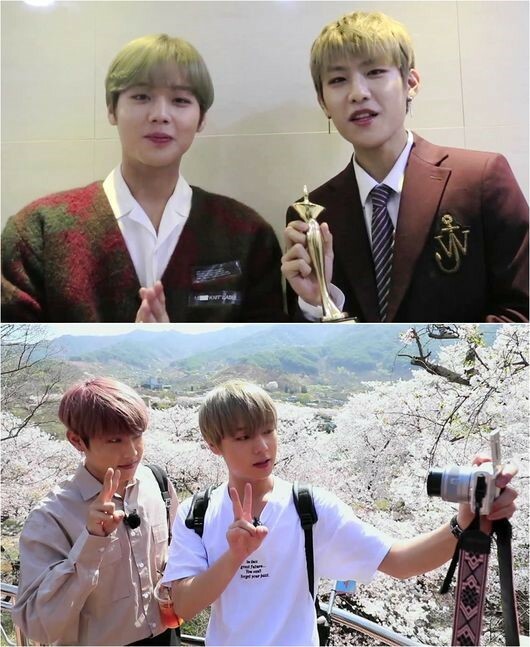 Previously, Wanna One‘s Park Ji Hoon and Park Woo Jin traveled to Jinju and Hadong in Gyeongsangnam-do Province. Upon winning an award at the ‘2018 Battle Trip Awards’, they congratulate themselves. They say that they were able to make a decent memory and reminisce the trip looking at the photos.